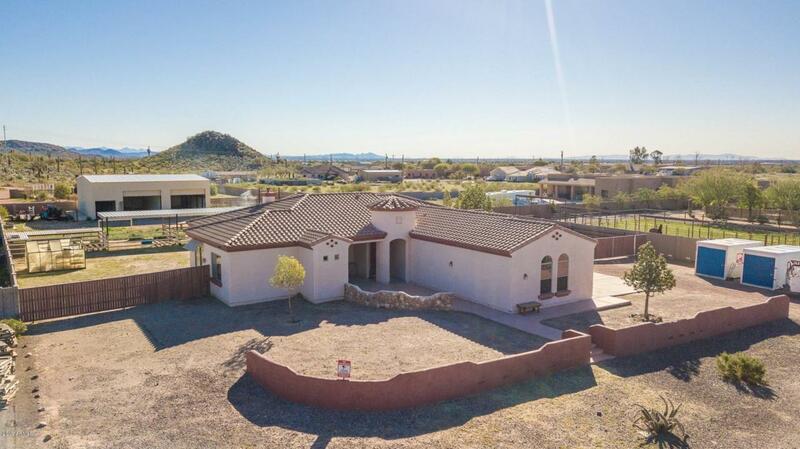 Sweeping mountain views on over an acre lot, this great 3-bedroom split floorplan home boasts over 2300 sq ft of living space. 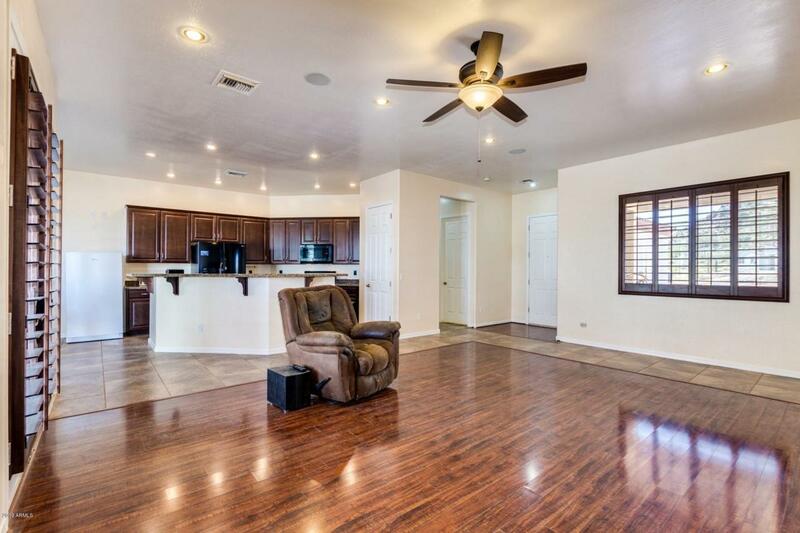 Bright & open layout, separate den, fireplace in great room, beautiful wood look & tile flooring, and spacious bedrooms. 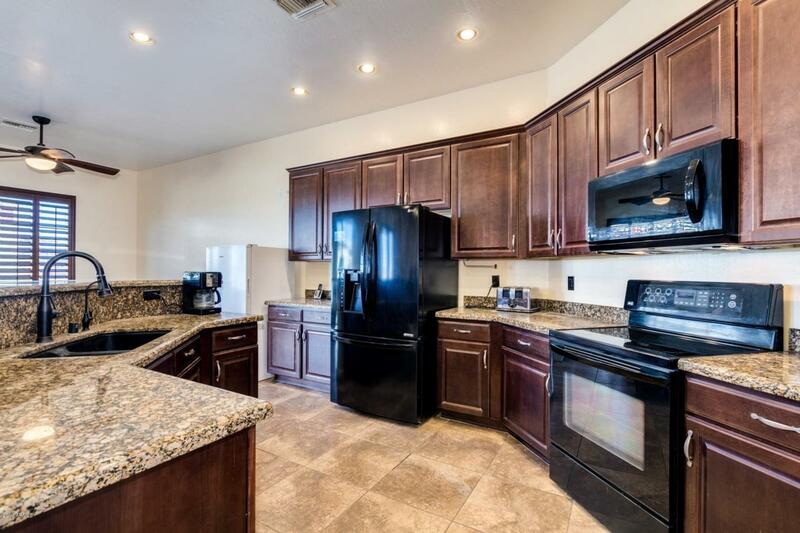 Rich dark wood cabinetry, black appliances, granite countertops, double sinks, breakfast bar & walk-in pantry create the kitchen you have always wanted. Master retreat has a private exit to the backyard & stunning ensuite. Plantation shutters & wood blinds throughout. Recessed lighting & surround sound in great room, plus every room is hard-wired for TV. New HVAC in 2018! 50'x50' fully insulated, metal bldg with 2 RV rollups & over-sized single rollup. 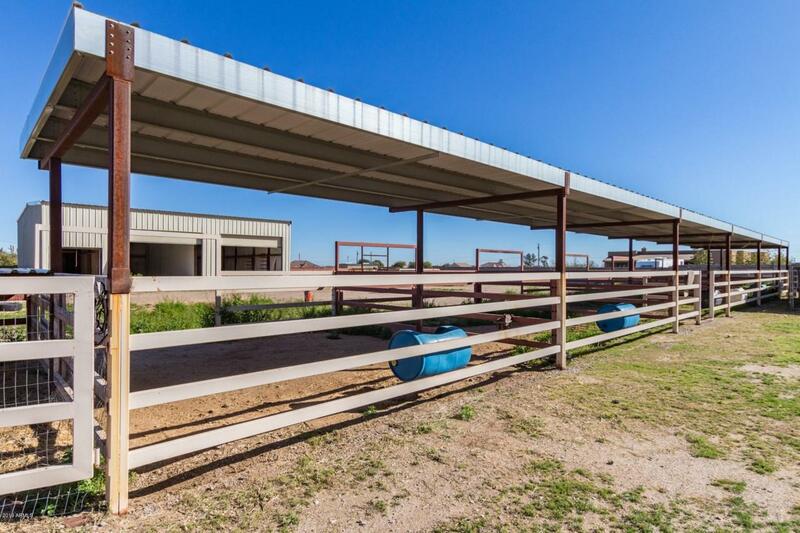 Five covered stalls, 50'x50' round pen, 20'x30' small animal pen, fully fenced chicken coop.